This is the first year we get to give valentines to a school class. Sophie mostly understands that Valentine’s Day and hearts are related, but truth be told, this year it’s 100% my choice about which valentines we give out this year. Truth also being told, these last two quarters of graduate school have us on an airtight budget, so I wanted to make something instead of paying a fortune for valentines and candy. I spotted a pack of 24 bubble wands for $3 at Target, and I had a discount coupon I could use, so I really felt like the decision was made for me. 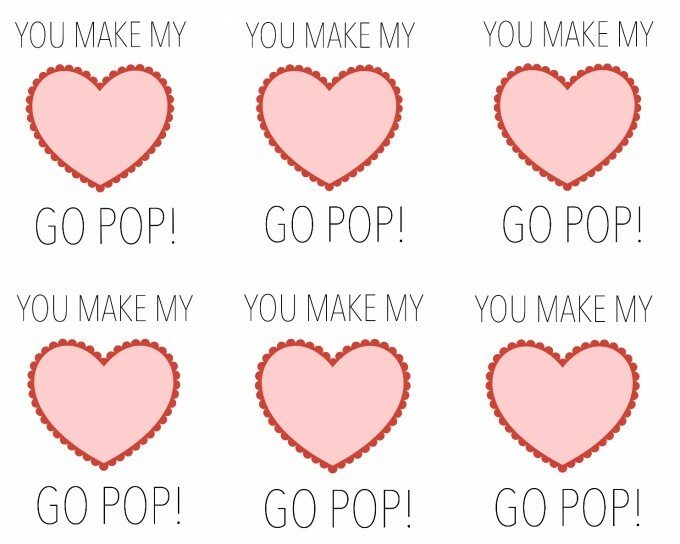 We’re doing bubble valentines this year! 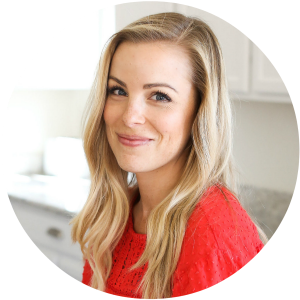 I have two versions to share–the first is a more homemade version that can get (you or) your kids involved. The second is a (super basic) printable version you can use. 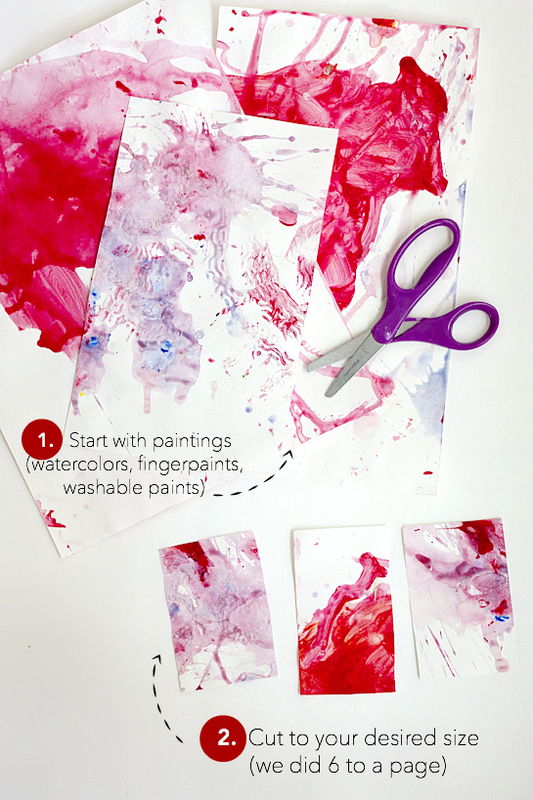 First, paint the paper with your paint or watercolors (we used red and a purple-y color I mixed from blue and red). Because of the nature of these paints, adding more water will dilute them to pastels instead of brights. Personally, I thought a mix of both brights and pastels looked nice, but use whatever you like. I turned this part over to Sophie and let her do whatever she wanted with the painting. Allow the paper to dry. 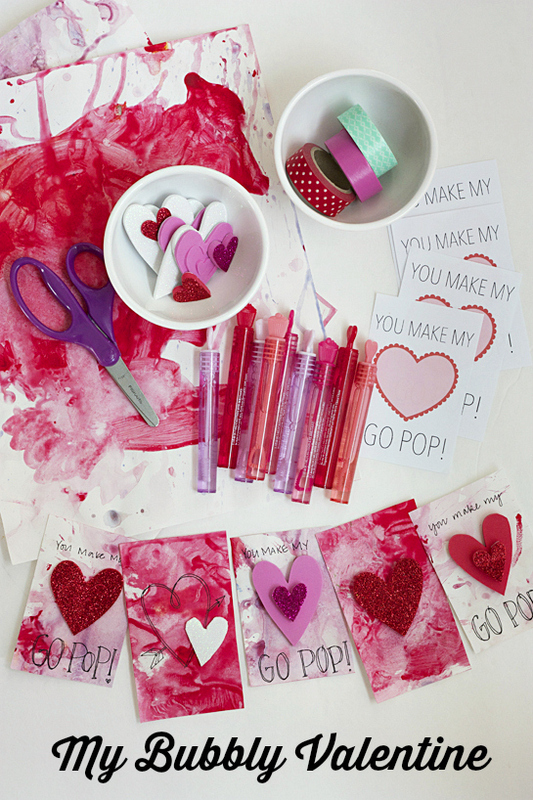 Cut the paper into your desired size valentines (we made 6 per page). 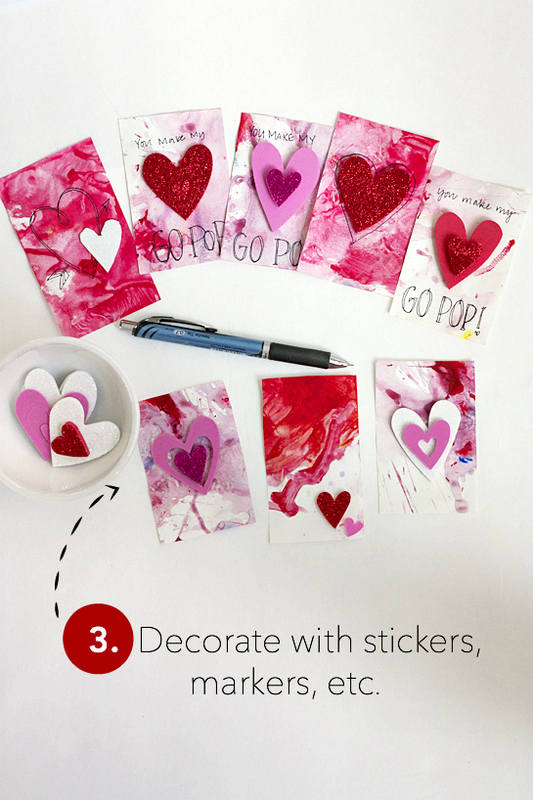 Decorate with stickers and write a little message if you like (we wrote “you make my heart go pop!”). Attach bubble wands to the back with Washi tape, and you’re done! 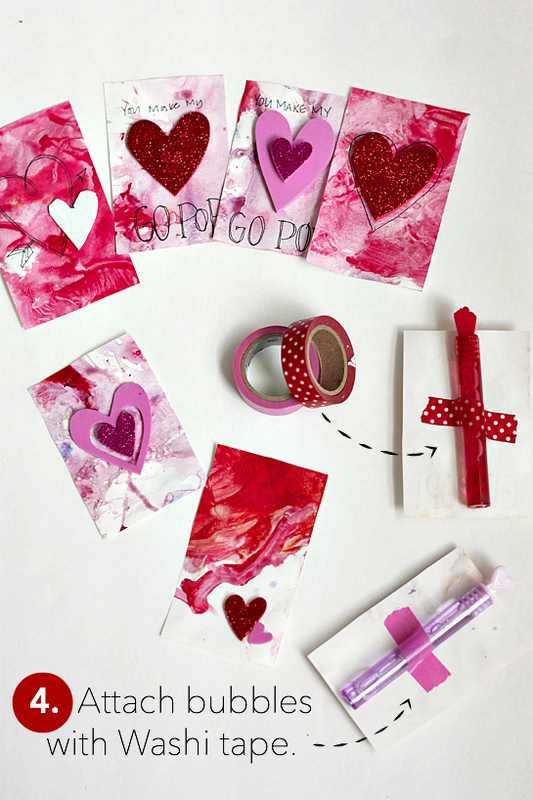 What are your favorite homemade valentines to give? For the Printable PDF Version, click the photo or the text link below. 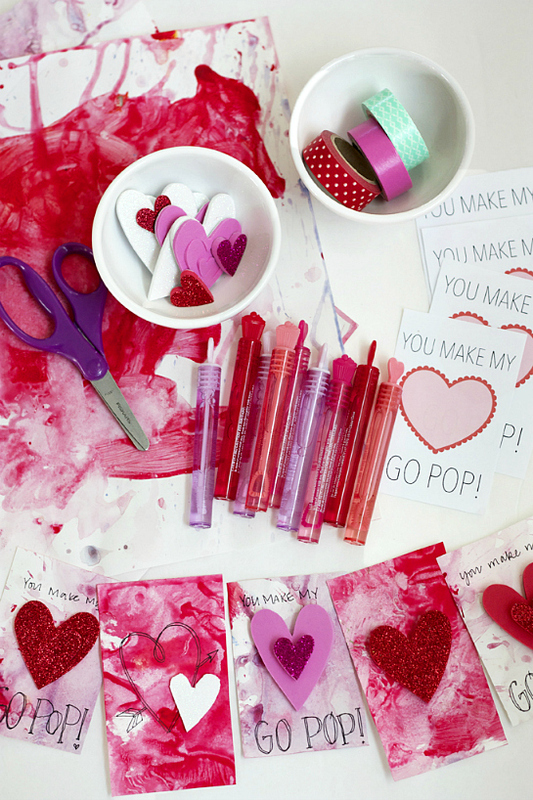 These are seriously the cutest valentines ever! I love that they’re not candy too! 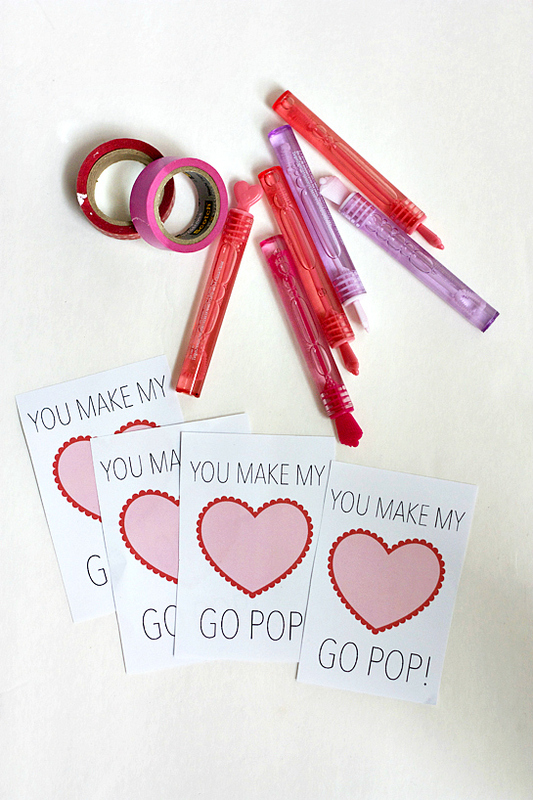 Thanks for sharing that fun printable! SO CUTE! 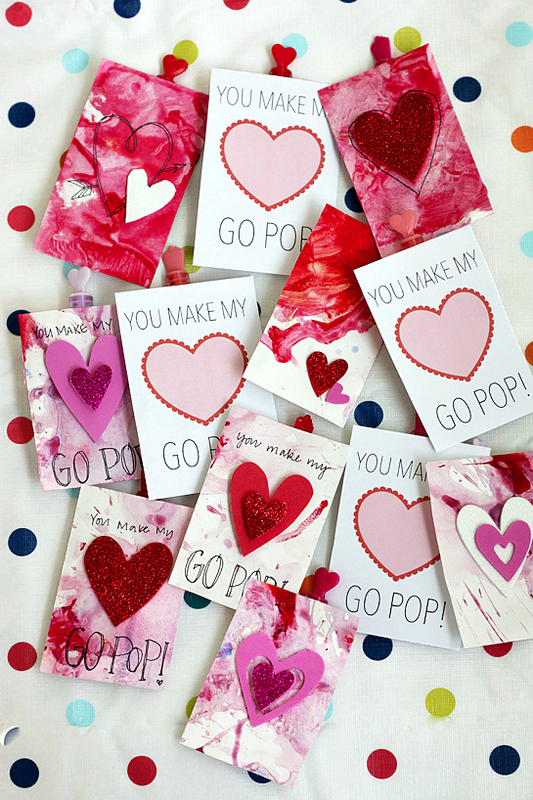 I love homemade valentines and these are just perfect! These are SO darling and clever! The bubbles are such a fun alternative to candy – and no one will get sick with an allergic reaction! Your talents continue to amaze me. Great idea! My 4th grader wants to make these, now we just need to cross our fingers and head to Target. Thanks!